From today January 10th 2017, China Airlines switched the aircraft for the course Taipei (TPE) – Vienna (VIE) to one of the newest airplanes on the world, the Airbus A350-900XWB. They used their old Airbus A340-300 for this course before. China Airlines was also the last airline which used Boeing 747-400s for their connections to Vienna. 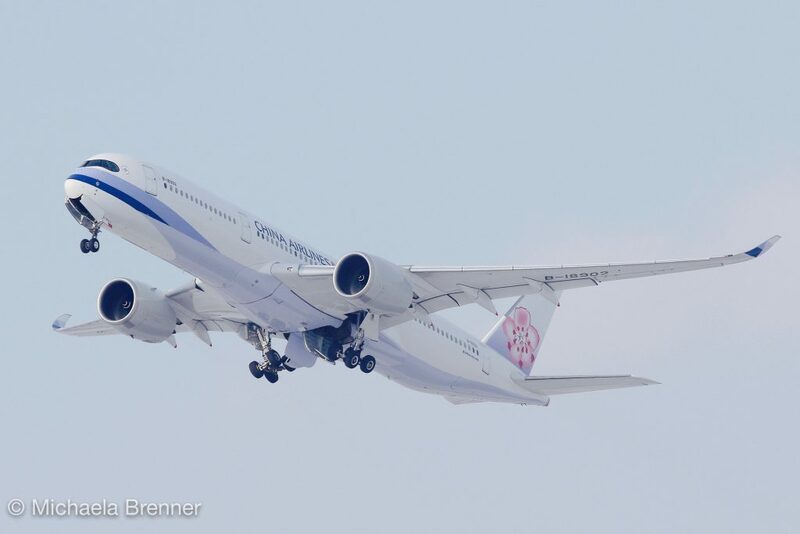 Now China Airlines offers the first line operation of an A350-900XWB at the Vienna airport. 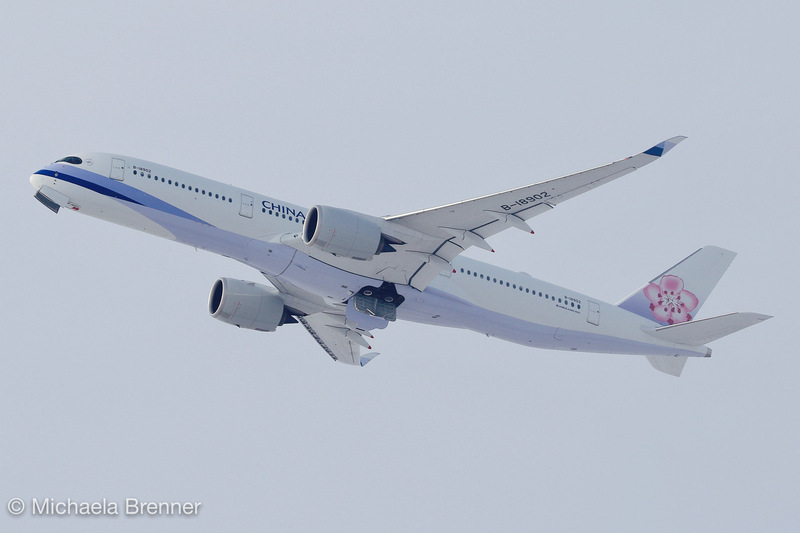 The todays flight was also the very first visit of the China Airlines A350-900XWB in Vienna. The flight landet as CI063 at 5:17 and departed at 11:21 back to Taipei. China Airlines offers 3 weekly rotations between Taipei and Vienna with a seating configuration of 32 seats in Premium Business class, 31 seats in Premium Economy and 243 seats in the Economy class. China Airlines A350 departing at Vienna on January 10th 2017.